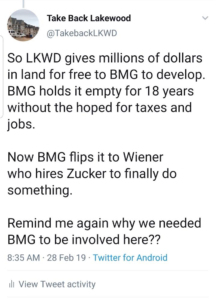 In brief: BMG gave the land to Joel Weiner who gave it to Aaron Kotler’s old buddy to develop – Developer Ralph Zucker. Now that it did not go directly to Zucker, Aaron cannot be accused for using the Township’s assets to help his buddy. This is not the first time Ralph made nice money flipping Township assets. On 7/2/2001 Lakewood BOE sells a part of its school backyard (on Block 223.01 ) to Sons of Israel for $150,000. 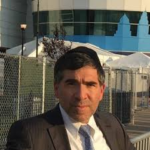 Somerset Development (Ralph Zucker) immediately purchases the lot from Cong. Sons of Israel for $225,000, Somerset Development with the help of Tendler gets it divided into five lots (Ralph Zucker) sells it for $625,000 on July,3,2002. $400,000 for a fast flip is a great deal! And all this shtick is being done with the taxpayers money. Ralph, don’t you have a conscience?!? The few dollars you give to charity is not enough to atone for exploiting the public’s money. אסור א לקנות מן הגנב החפץ שגנב. ועון גדול הוא שהרי מחזיק ידי עוברי עבירה וגורם לו לגנוב גניבות אחרות שאם לא ימצא לוקח אינו גונב וע”ז נאמר חולק עם גנב שונא נפשו. Is this the same zucker who is buddy buddy with hasan? What happened to your article about Secare and judge ford? ?